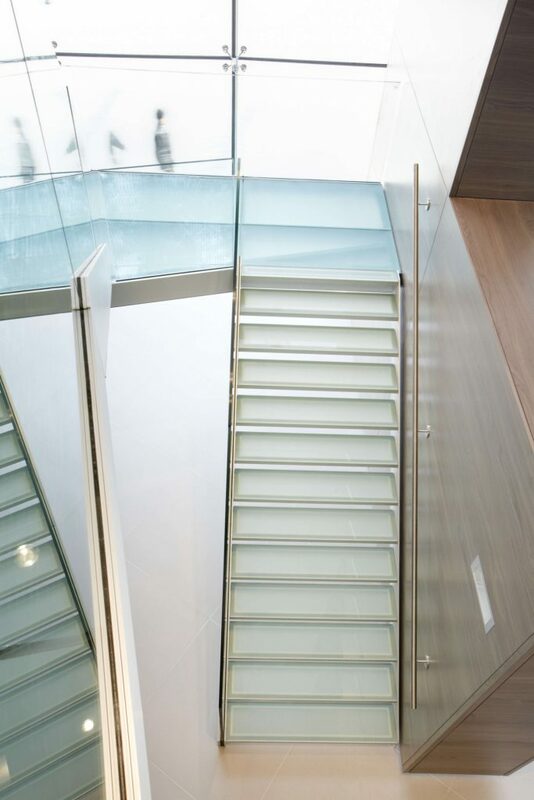 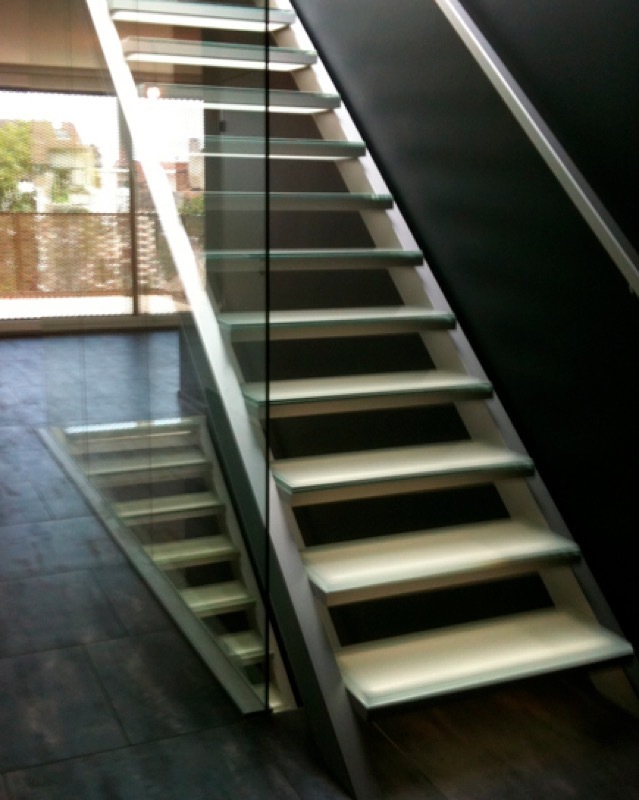 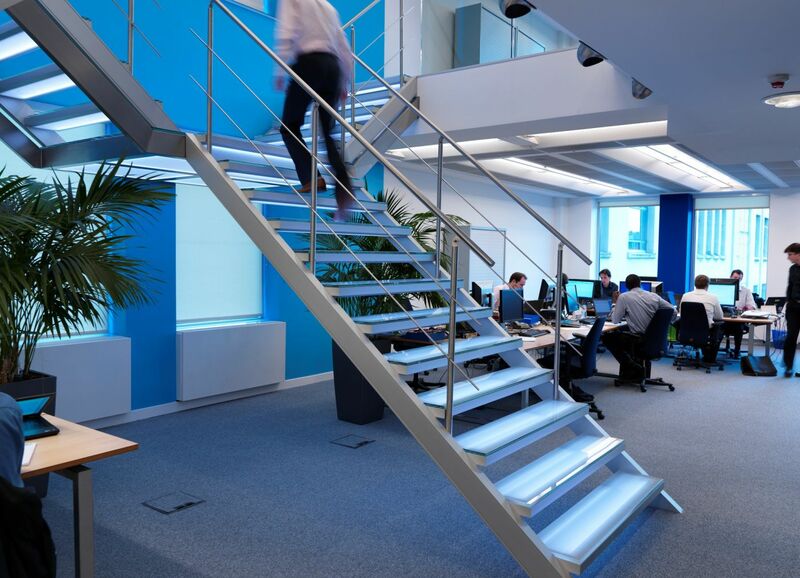 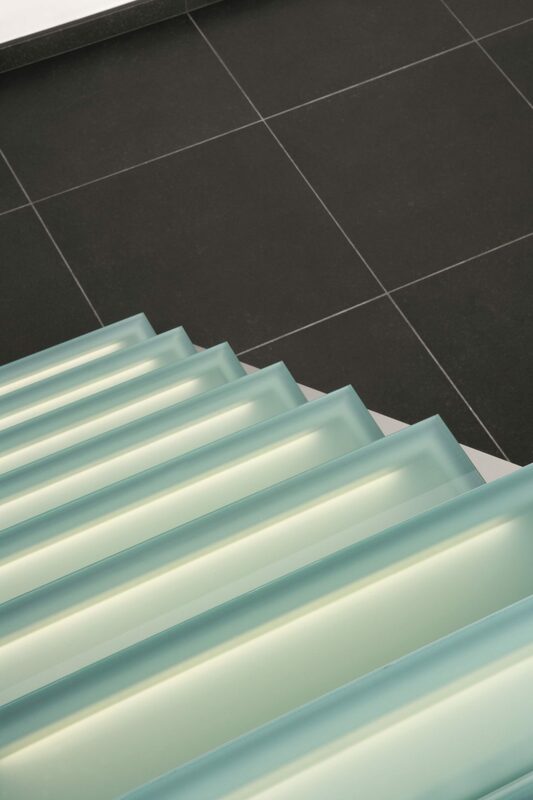 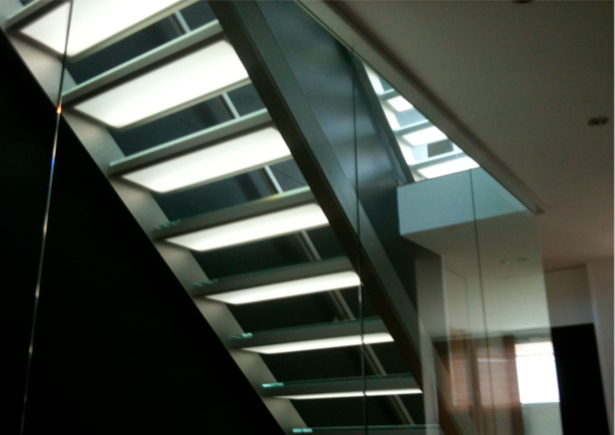 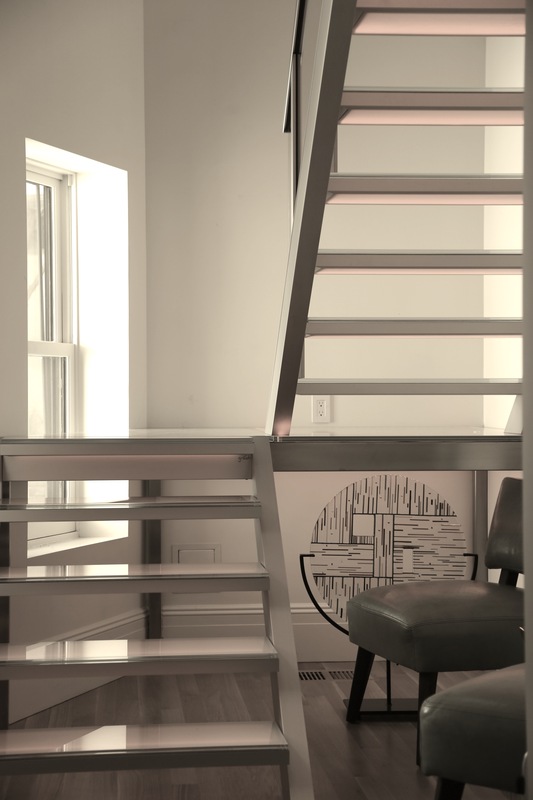 Some of our staircases can be illuminated, either in the stringers or in the glass steps. 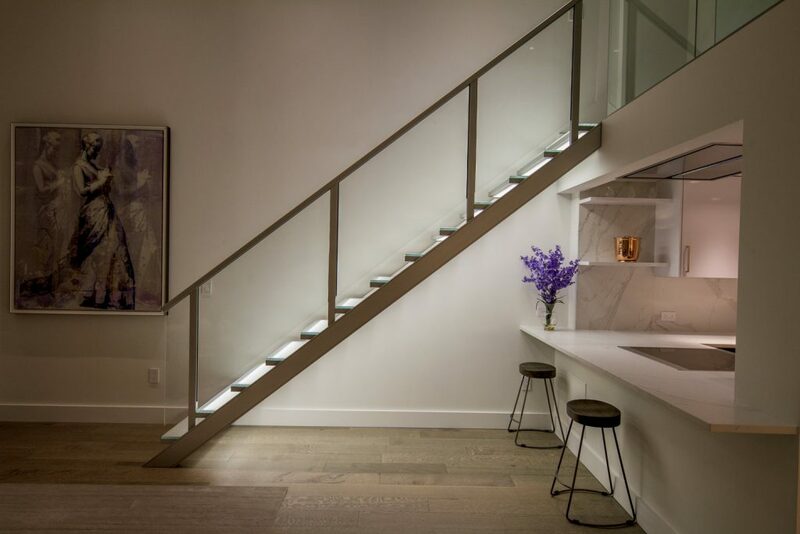 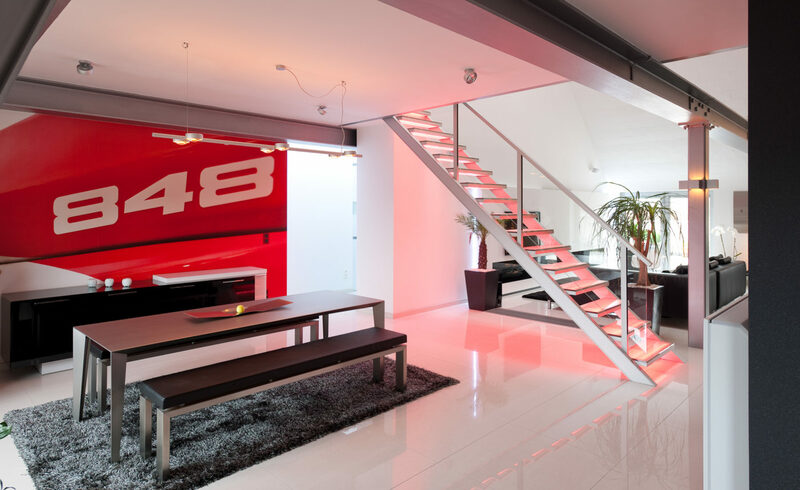 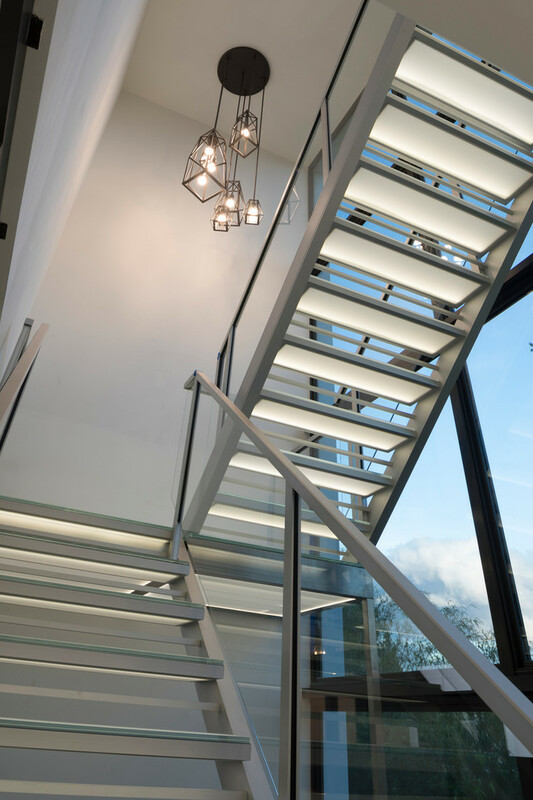 The illumination of our glass steps is equally visible from the top and the bottom of the staircase, making a stairwell lighting almost obsolete. 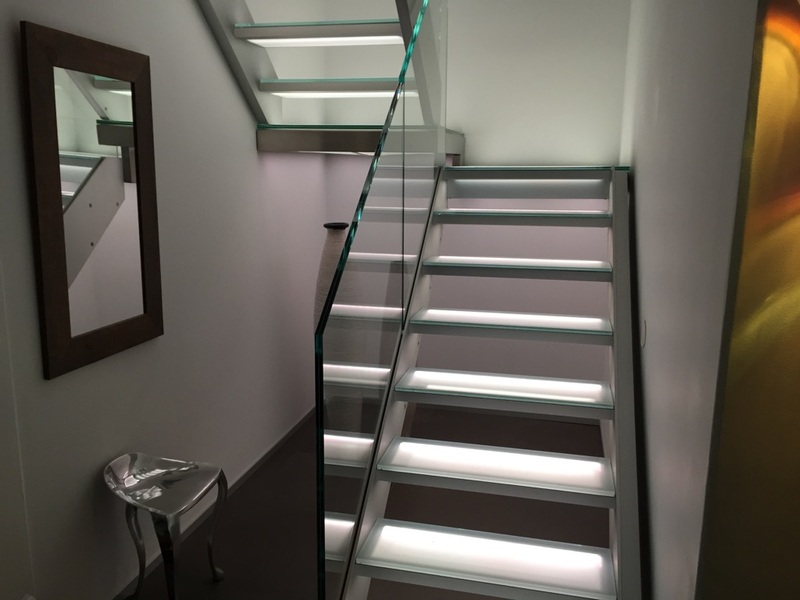 All lighting is available in colors and dimmable, and is controlled by an App from your smartphone.